While Guardians of the Galaxy might have fallen out of the top spot at the U.S. box office, the film continues to rake in million at both the U.S. and the international box office. This weekend, Guardians of the Galaxy took in another $5.18 million at the U.S. box office to reach a total U.S. gross of $313.67 million. It was more than enough to move Guardians of the Galaxy past another Marvel Studios film on the all-time, highest-grossing films at the U.S. box office list. Guardians of the Galaxy’s $313.67 million total gross pushed ahead of Iron Man 2’s $312.43 million total gross at the U.S. box office. Guardians of the Galaxy is now the fourth highest-grossing Marvel Studios movie ever at the U.S. box office, trailing only The Avengers, Iron Man 3, and Iron Man. Before the end of its run, Guardians of the Galaxy should also pass Iron Man and become the third highest-grossing Marvel Studios movie ever at the U.S. box office. Iron Man finished with a total gross of $318.41 million at the U.S. box office. 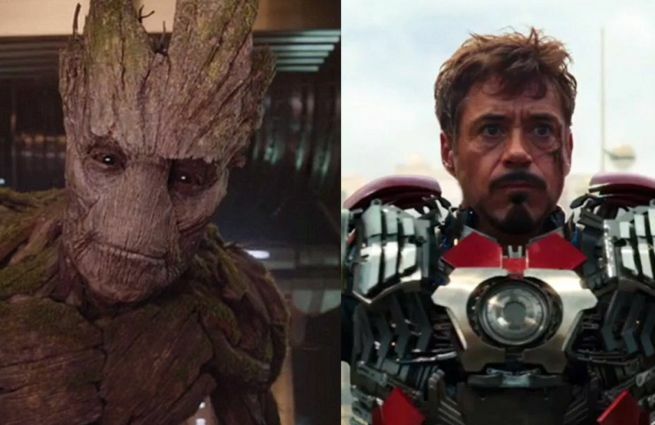 Guardians of the Galaxy also moved past Iron Man 2 on the all-time worldwide box office list. Guardians of the Galaxy has made $632.3 million at the worldwide box office and is currently the fifth highest-grossing Marvel Studios movie ever at the worldwide box office, where it trails only The Avengers, Iron Man 3, Captain America: The Winter Soldier, and Thor: The Dark World.